• Terra Mediterranean: Opened by brothers, Jalal Chanaa and Adam Shanaa in Dallas in the early 90s, The menu ranges from freshly prepared hummus, salads and moussaka to gyros, saffron chicken, as well as an array of meat and fish kabobs. During the day, the crowd-pleasing lunch buffet is loaded with traditional Mediterranean favorites while dinner features specialty items such as grilled sea bass, lamb chops, and oven-roasted trout. The combination of quality meats and seafood, fresh produce, legumes, olive oils, whole grains, and bold spices create authentic flavors that are distinctly delicious. • Knife: The highly-awarded restaurant created by nationally acclaimed, four-time James Beard nominated, and Bravo “Top Chef” contestant chef John Tesar. 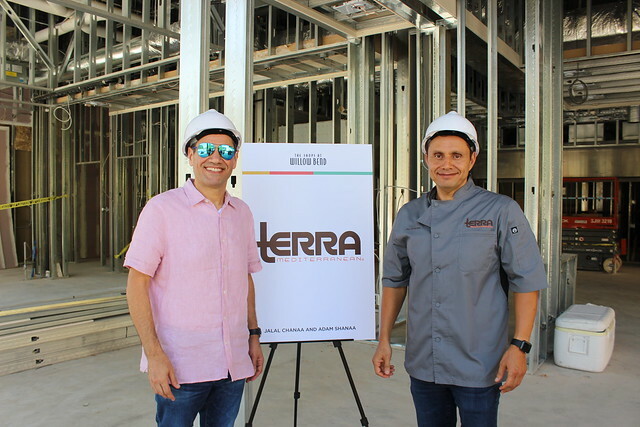 Committed to using the finest quality ingredients with true Texas roots, Chef Tesar has built relationships with Texan ranchers and farmers including Heartbrand Beef and 44 Farms to ensure the best sourced meats. The cuisine at Knife melds classic and modern steakhouse dishes featuring all-natural born and raised Texas beef, pork and lamb in dry-aged prime cuts prepared in cast irons and customary steakhouse broilers, as well as specialty cuts such as flat iron, Waygu skirt steak, tri tip, culotte, beef cheeks, pork belly, oxtail, pigs head and exotic Akaushi beef. • Mexican Bar Co. Cocina: A new concept from a James Beard Foundation renowned chef who is known for his East Coast and Midwestern restaurants. • Whistle Britches: Chef Omar Flores had one thing in mind when he created this concept - serve the tastiest, juiciest and crunchiest bird in town. Their pickle brined bird, farm-fresh ingredients and soulful cooking will leave you wanting more. They believe comfort food never goes out of style. Their scratch kitchen is always baking fresh buttermilk biscuits and some of the best chicken sandwiches in town. Couple all that with a great local craft beer selection and inventive cocktails, you soon realize why they came up with the name Whistle Britches. The center's new restaurant offerings will begin to open throughout the month of September after construction on the buildings and interiors comes to a close, mall spokesperson Amy Medford said on our tour. 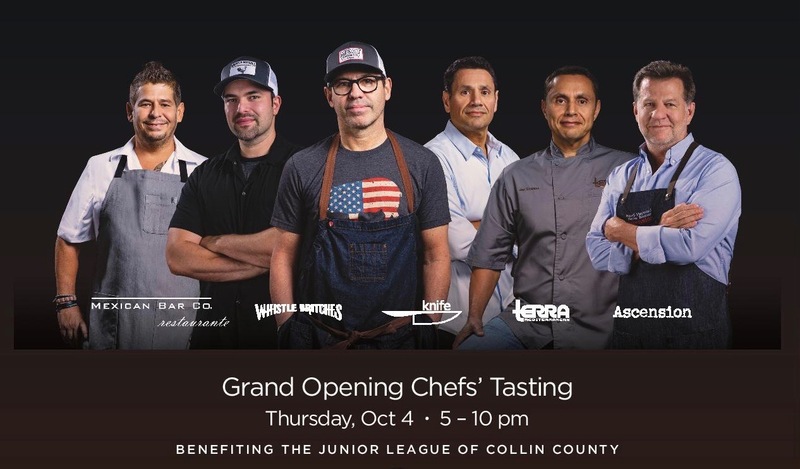 You can celebrate the opening of the first five fabulous new restaurants at the Shops at Willow Bend and help these chefs support the important work of the Junior League of Collin County at the Grand Opening Chefs’ Tasting event on Thursday, Oct 4, 5 – 10 pm.